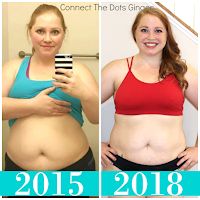 Connect the Dots Ginger | Becky Allen: Bump Update: 40 WEEKS! HERE WE ARE! 10 months, 40 weeks. HELLO DUE DATE! I have gained 26 total so I think I rocked this healthy and fit plus size pregnancy. I was asked the other day if this is the most active I have been while pregnant. I had to think about it for a bit. With Collin I trained and ran in my first half marathon by 29 weeks. Then I did NOTHING! But with this pregnancy I have worked out more consistently for the whole thing. Not near as many hours at a time as I did with the training but 30 minutes 4-5 days a week. So...I still think I rocked it. YOU GUYS IT IS POSSIBLE TO HAVE A HEALTHY AND FIT PLUS SIZE PREGNANCY! My mom arrived on Monday, all the food has been bought and stocked up on, and teaching is done until January. All the clothing is ready, the bags are packed all we are waiting on is little miss to make her big arrival! We have had a couple of times now where both Matt and I are thinking, "Is it time?" And each time my contractions simmer down. But my body is definitely gearing up for the big day. Total Weight Gain: Gained 26.6 pounds total. Weight as of this morning 264.3 pounds. I am now 10 pounds more than when I gave birth to Collin. 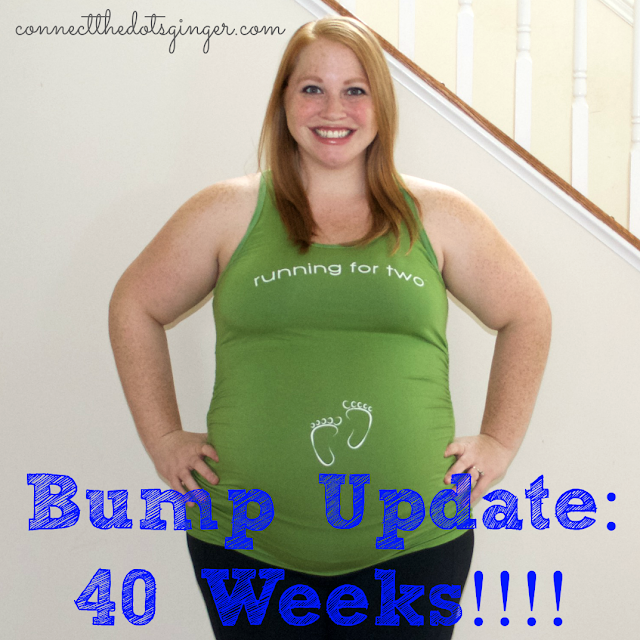 And right on track to where I estimated I wanted to be at 40 weeks! HERE IS TO A HEALTHY AND FIT PLUS SIZE PREGNANCY! Symptoms: Smaller appetite, eating smaller meals throughout the day. Having to "go" a lot since she is head down. Hard time sleeping. Waddling and lower back soreness like nothing else! CRAVING MILK! CRAVING SWEETS. Loss of mucus plug. Labor Progress: As of my weekly check up appointment last Thursday I was 0-1cm dilated. Baby was at a engaged in my pelvis -1. There is still a lot of fluid between her head and the cervix so he said she was still "bouncy" But the same happened with Collin. Once my water broke he just went straight down. I was also 80% effaced. 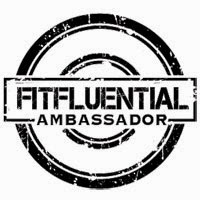 I went from basically 0%-80% in just one week! Next appointment is TOMORROW! Maternity Clothes: Yes, bottoms need to wear maternity or stretchy pants. Tops I wear maternity now and my bigger t-shirts but those are tight now. I am actually running out of clothing. Wearing my new Fabletics sports bra in these pictures and LOVE THEM and the fun colors! A ton more coverage and super comfy! Stretch Marks: I already have a ton that I got when I gained weight years ago. I think I am getting some new ones or my old was are just being stretched up higher on my belly. No bright purple ones just the faded white ones. I am using Honest Company belly balm right now though to help my belly stretch so I do not get any new ones. I apply it at night and right after I get out of the shower. Belly Button: Still an innie! 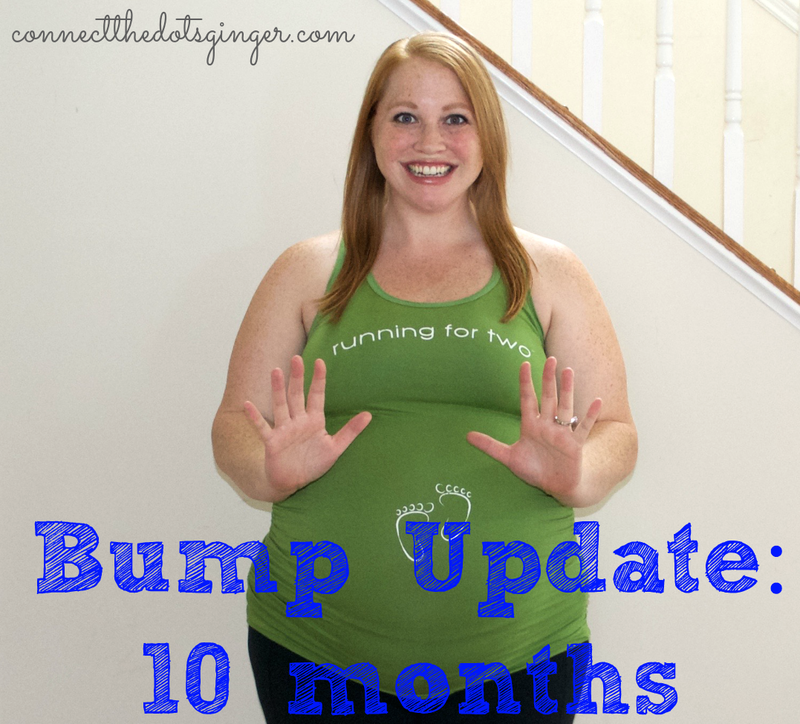 I never had my belly button flatten out or pop out during my other 2 pregnancies. It is very close. Less than 1/4 inch which is the closest to being flat out of all 3 of my pregnancies. Braxton Hicks Contractions: Yep, thought for sure the other day was the real deal because I was having consistent contractions for a few hours, 18 min apart mind you, but they fizzled out to nothing by 9pm. Sleep: I still nap everyday. And I am waking up many times a night to go to the bathroom or trying to get comfy. (If you see me make a comment on FB or IG at 2am this is why!) I am still getting up at night at 11:30pm, 3:30am, 5:30 without fail. Always around 9pm for about an hour she likes to put on a show and be super active! Excited About: HELLO DUE DATE! WE HAVE MADE IT! The date that every woman looks forward to and also the date that the baby is set to be EVICTED! 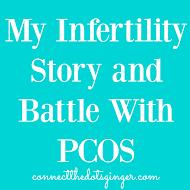 Sadly most women go beyond their due date, and I very well could be one of them. I was 5 days late with Collin. Not sure when I will go on my own, but baby girl has been issued her eviction notice of 1 week! 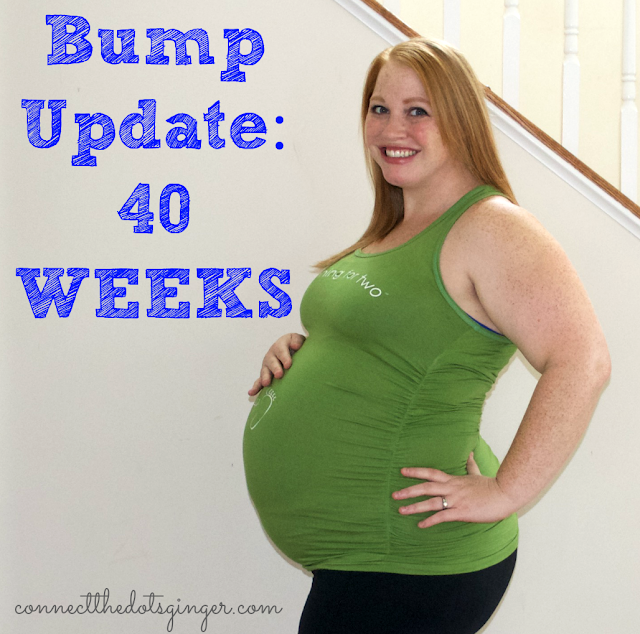 So, here's hoping that this is my last prenatal bump update! My mom arrived this week and it has been such a great help having her her. And yesterday was my last day teaching. All the ducks are in a row so baby girl, you can come at any time! Workouts: Pretty well for this week! I got in 5 days of regular workouts this past week plus some nightly walking and RUNNING to get this baby out! I'm really enjoying, COUNTRY HEAT! Although I am only doing about 3 days of it a week right now. If you are interested in joining BUSY MOM'S DANCE PARTY just click on the link to request to join and I will get in touch with you with all the details! And I am enjoying finding prenatal yoga routines online. 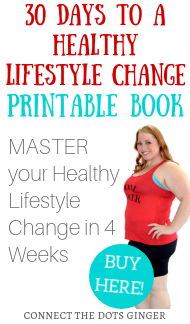 I can't do the 21 Day fix yoga anymore. Too many modifications so I am sticking with prenatal specific ones.